Throughout her nearly sixteen‐year career, Ms. Constance Hunter has honed her ability to pick a needle from the economic haystack of data, synthesizing information to identify turning points for economies or markets. Ms. Hunter is currently a Managing Director and the Chief Economist at Aladdin Capital. Prior to joining Aladdin, she was with Galtere Ltd., a global macro hedge fund, where she served as a Chief Economist. Prior to and concurrently with, Galtere Ltd., she was the Managing Member and Chief Investment Officer of Coronat Asset Management. In that role, Ms. Hunter identified macro themes and invested in global equity and FX markets to capitalize on these themes. Prior to founding Coronat, Ms. Hunter was a Partner and Portfolio Manager at Quantrarian Capital Management, a hedge fund that invests in Asian markets. In addition, she has worked as a Portfolio at Firebird Management, LLC after starting her career as an economist at Chase Manhattan Bank in Foreign Exchange. Ms. Hunter received a Bachelor of Arts from New York University, as well as a Masters of International Affairs from Columbia University. Ms. Hunter is a regular guest on CNBC and Bloomberg TV, as well as being quoted in the Financial Times, Wall Street Journal, Barrons, Forbes and The New York Times to name a few. Ms. Hunter is a member of the National Association of Business Economics (NABE) and the Chair of the International Roundtable for NABE. 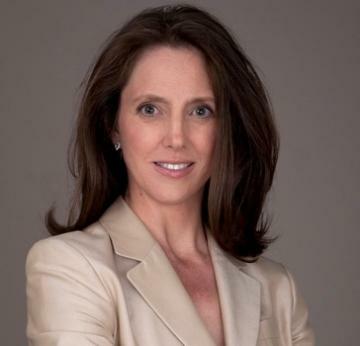 She is also a member of The New York Association of Business Economics, a member of Money Marketeers, Network 20/20 and of 100 Women in Hedge Funds.